Taylor Swift has done it again. The reigning pop queen broke the internet and took the world by storm last week as she released the first single off her upcoming album. Immediately the song launched to the top of the charts and inspired Twitter moment after Twitter moment with some pretty passionate reactions. Many people were surprised by Taylor’s new sound, while others loved the vengeful pop ballad. I must admit, I can’t stop listening to the catchy tune. But while I can’t stop singing the song, it’s also made me think about the validity of the chorus’ claim. She’s right. You don’t. Your actions hold consequences and affect those around you, and you can’t tell someone how they should or should not feel in response to your actions. You need to allow others to act and respond in their own way. However, there’s a flip side to that coin. If you can’t tell someone how to react to something, you also are not responsible for their actions fueled from those emotions either. However, Swift claims that while others cannot control her emotional response, they are accountable for what she was “made” to do in light of that emotional response. In the case of her new song, she was forced to kill the old Taylor in response to her reputation being tarnished. While the attitude-filled song gives wronged souls a tune to bop along to while reminiscing the times they’ve been scorned, it robs them of the responsibility they own in conflict—whether reactionary or not. It shifts the focus off of self and onto others. It relieves the reacting party of self-ownership in turn of blame. In short, no one can “make you do” anything. You own your actions, just as others are to own theirs. Own what’s yours, forget what’s not. “If it is possible, as far as it depends on you, live at peace with everyone”(Romans 12:18). This passage leads us to the principle that we are only responsible for ourselves; we do not own how others respond or react. Others own their reactions and we own ours. It relieves us of the responsibility and blame for other people’s actions, but it also bestows on us the full weight of our response. We are responsible for responding with mercy and grace and cultivating peace with our actions. Responding with mercy and grace helps usher in reconciliation rather than stoking the fire. “A gentle answer turns away wrath, but a harsh word stirs up anger” (Proverbs 15:1). If someone were to look at our side of a feud, they should see someone seeking to calm and quiet fires (seeking to live at peace), rather than shooting flaming arrows back to ignite the other party. We don’t own the other party’s response to live at peace, but we surely do own ours. At the same time, forgetting how our actions affect others isn’t biblical either. Jesus said to His disciples: “Things that cause people to stumble are bound to come, but woe to anyone through whom they come. It would be better for them to be thrown into the sea with a millstone tied around their neck than to cause one of these little ones to stumble. So watch yourselves. If your brother or sister sins against you, rebuke them; and if they repent, forgive them. Even if they sin against you seven times in a day and seven times come back to you saying ‘I repent,’ you must forgive them” — Luke 17:1-4. Our actions have consequences and always affect more people than ourselves. We are accountable for the way our actions affect others, however, we are not responsible for owning their actions. Still, we must be mindful of all that we do and always seek to honor others before ourselves. Look at self-fault before laying blame. The blame game is a comfortable route to take when it comes to conflict. It relieves us of looking at some ugly parts of ourselves in turn of judging others. In conflict, our first response should always be to own what we have done and look to where we can offer an apology in seeking reconciliation, not demand the other party admit their wrong first. Being the first to offer an apology and take ownership of personal wrongdoing can end a conflict. Look at a situation objectively, ask outside sources whom you trust to point out personal fault in a situation and always be quick to apologize if there has been any wrong on your end. You will be owning your part and encouraging a positive response from the other party as well. 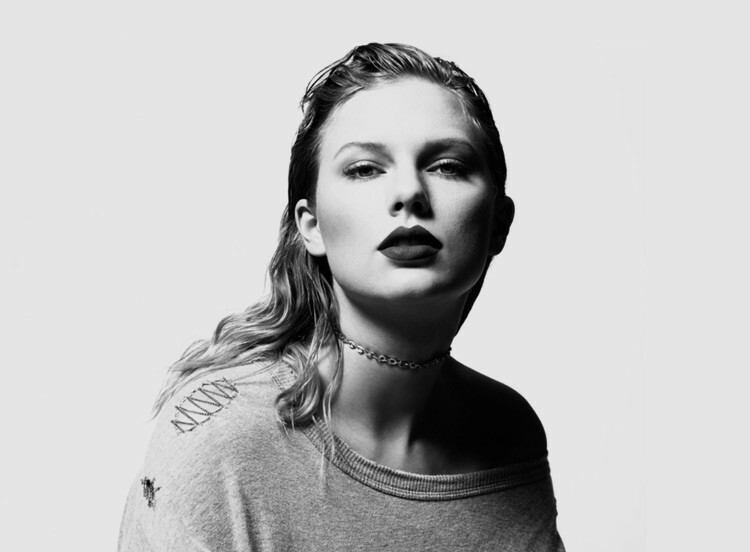 All that being said, Swift’s new song is catchy as ever—filled with the same attitude grunge as her other hits. Jam your hearts out, but don’t look to Swift as a positive example of healthy conflict resolution. Remember the biblical truth in settling quarrels and own your actions wisely.